The morning came early the day we left for Machu Picchu, the first alarm rang at 4:00am, with one following at 4:15. Alex wanted to straighten her hair (a rarity on this trip, and I applaud her for even trying, you all see how my hair is done every day, short) and I was off to the motorcycles to get the straightener, my mono-pod for the GoPro, and the audio recorder in case there was any good sound along the way. It is mentioned in the video, but because it is the rainy season in Peru (I swear it is the rainy season in each country we go to no matter what) they don’t run the train from Cusco to Machu Picchu for fear of the tracks getting blocked. With that said, you have to take a bus from Cusco to Pachar and then catch the train from there. Our day went taxi-bus-train-bus-bus-train-bus-taxi, though it isn’t that hard compared to hiking the Inca Trail. 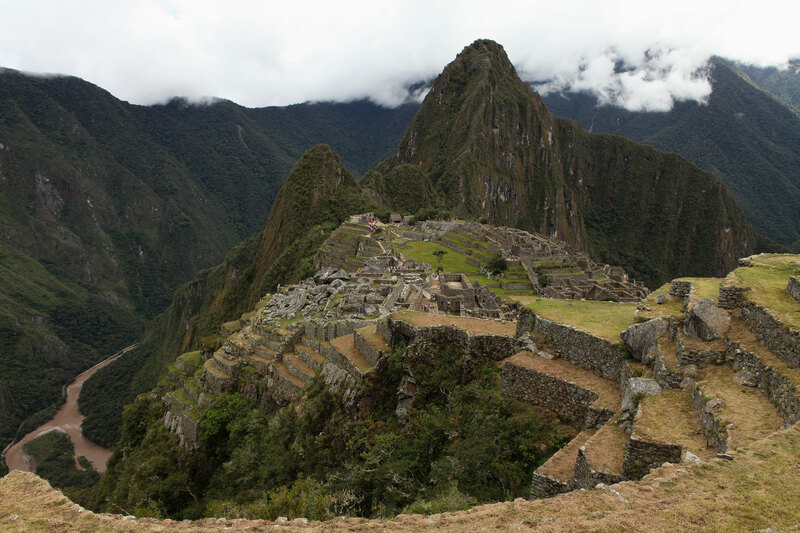 For note, the Inca Trail is closed during the month of February so that it can be cleaned of trash and maintained. Anyone who read our other blog on Northern Peru, knows about the trash problem in this country. Research will return all sorts of results saying that Machu Picchu is closed during February, but this is not true, as clearly we made it there and back just fine. Seeing as I had sprained my ankle a couple of days before, it is probably a good thing that we couldn’t do the Inca Trail. By the time we got to Machu Picchu it was about 10:30 in the morning, which gave us the better part of the day to explore the site. It is currently low season for tourism in Peru (again because it is the rainy season) so we were both pleased at the amount of people in the park. Though in 2011 they restricted the amount of people that are allowed in the site to 2,500 people per day. Also for note, if you want to hike to the top of Huayna Picchu (the famous mountain to the north west) there is a limit to 400 people per day, and we were told by one of the docents in the park that there is usually a two week waiting list. Due to the massive nature of the complex, even with the amount of tourists allowed in, you never really get a sense of it being overcrowded, which helps add to the experience. We hiked around the park, took pictures, and did the whole tourist thing for the better part of the day. 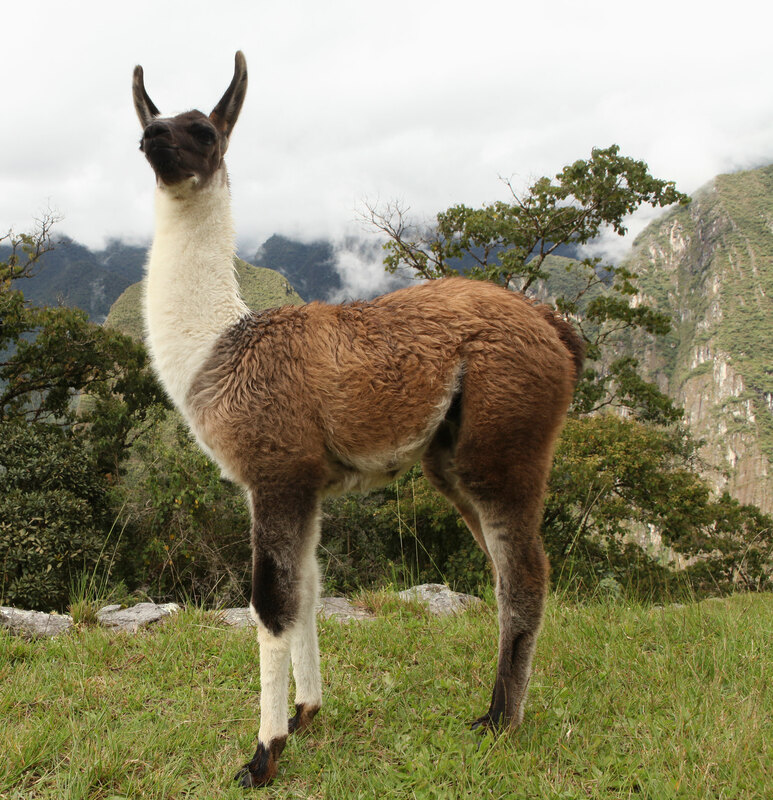 Machu Picchu is at 7,972 ft, which is well below Cusco at 11,200 ft. With that said, if you have spent some time getting acclimatized to the altitude in Cusco, then you shouldn’t have any issues with hiking at the lower elevation of Machu Picchu. Though it is quite a hike from the bottom to the ‘Guardhouse’, where you can take the quintessential postcard photo so you might be out of breath. Personally I would have liked to have had two days at Machu Picchu. Alex and I get caught up in documenting the experience that for me it sometimes gets in the way of just being in the moment. It would have been nice to go the first day and do the whole picture taking thing and then know you had another day to just soak it all in. Even with only having one day, there was a moment where it began to rain and we were forced to just sit and wait under one of the huts. It let me stop, recenter, and enjoy just being in this magnificent place. I think I have written enough, and will let you pictures and video do the rest of the talking. It was worth the expense, and as far as expectations go, it doesn’t disappoint. Wow great video and information. Really enjoyed it! Good to hear your voice too! Someone has a birthday coming. Shhhh, we don’t want people to know about the birthday. Glad you enjoyed the video! Great job on the video. Love this blog!